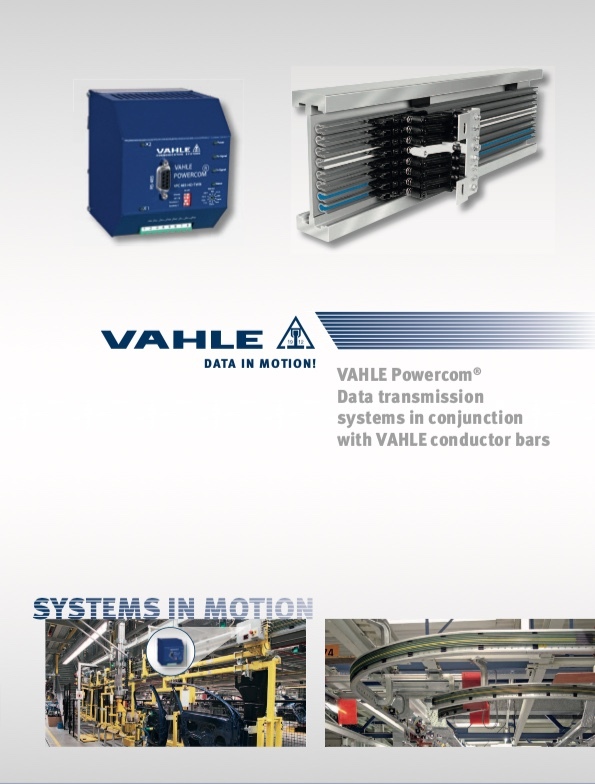 With Powercom, VAHLE has developed a safe and economic data transmission solution that utilizes existing conductor bar to transmit data signals. 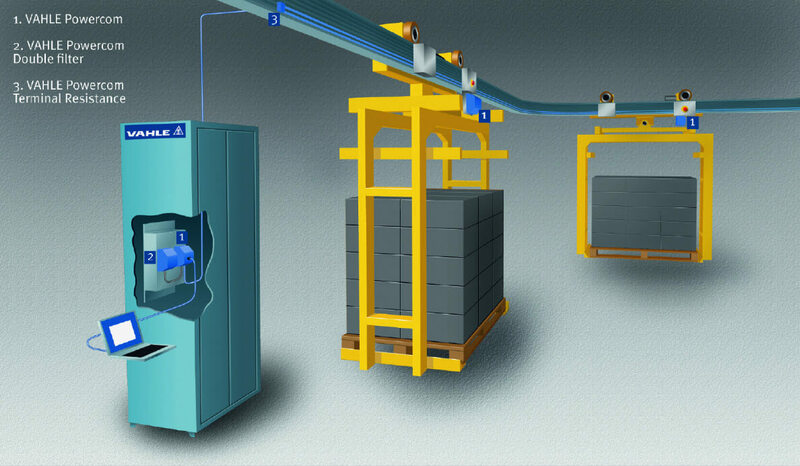 This allows a single conductor bar system for both power and data transmission reducing cost and space requirements. The Powercom system operates using 2 conductors from an existing conductor bar system for half-duplex transmission. 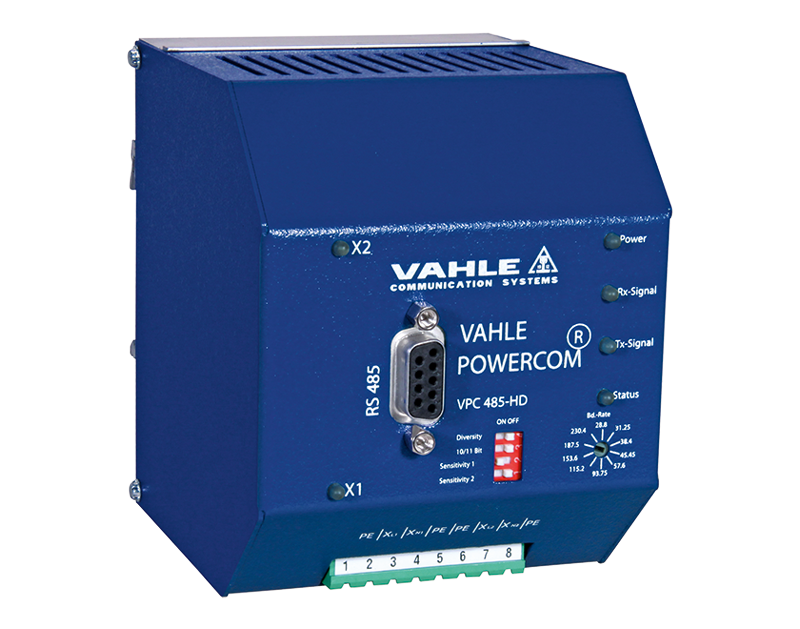 It has a RS 485 interface as standard, is transparent and does not require BUS-addressing. This enables the uninterrupted and cost effective data transfer between the central control system and the accompanying automation devices.